Unlike FastPass+ at Walt Disney World, FASTPASS at Disneyland is a relatively simple system, and the MaxPass enhancement is also simple to understand. Nonetheless, we are a site for people who really like to read the details about these things, so we do try and provide the most comprehensive information possible. In this post, we cover everything you need to know about FASTPASS and MaxPass at Disneyland Resort—including both parks, Disneyland and Disney California Adventure. If you’re brand new to FASTPASS and MaxPass at Disneyland, this section is for you. Even if you’re not, it never hurts to brush up on the basics. What Is Fastpass At Disneyland Resort And How Do I Use It? While we have lots to unpack below, but the first thing to note is the use of the word “receipt” above. The paper receipt given by the machine is not a FASTPASS and it is not transferable—the FASTPASS is linked to your park ticket. Who can get a FASTPASS? Anyone who has entered the park on a valid ticket can get a FASTPASS. FASTPASS is free and offered to all guests. When Can I Get My Next FASTPASS? There’s a lot of confusion and misinformation (including from Disney) about when you can get your next FASTPASS. Disney doesn’t actually publish many details about the system, but countless observations by us and others reveal how long you have to wait between obtaining FASTPASS slots. First, your existing reservation will tell you exactly when you can get another one. It’s either on the bottom of your receipt or present on the reservation on the app. If you want to know the generally accepted rule, here it is. You book a FASTPASS at time T1 and that FASTPASS starts at time T2. You can book your next FASTPASS at time T2 (when the FASTPASS window starts), subject to a 30 minute minimum and two hour maximum wait from time T1. Guests with MaxPass—which we cover more below—have a maximum wait of 90 minutes to grab their next FASTPASS. At 9:14AM you grab a FASTPASS for Star Tours that starts at 9:15AM. You can grab your next FASTPASS at 9:44AM because you must wait at least 30 minutes between making FASTPASS selections. At 10:26AM you grab a FASTPASS for Roger Rabbit’s Car Toon Spin that starts at 11:10AM. You can grab your next FASTPASS at 11:10AM because 11:10AM is more than 30 minutes out but less than 90 minutes (or two hours). At 12:19PM you use MaxPass to grab a FASTPASS for Indiana Jones Adventure that starts at 2:25PM. You can grab your next FASTPASS at 1:49PM because your maximum wait to grab a FASTPASS with MaxPass is 90 minutes. Without MaxPass, you would be able to grab your next FASTPASS at 2:19PM. Can I have multiple FASTPASS reservations at once? Yes—there is no limit on how many FASTPASS reservations you can make, subject to the above rules on how long you must wait between making them. You cannot hold multiple FASTPASS reservations at the same time for the same ride. You can even have FASTPASS reservations with overlapping or identical time slots. Just make sure you know how you’re going to fit them both in. The FASTPASS systems at Disneyland and Disney California Adventure are completely unified. Besides the fact that the app divides the rides between the two parks just to make browsing them easier, the system behaves as if all the rides are in a single park. That is, if you grab a FASTPASS in one park, you have to wait until your next designated FASTPASS time to grab one in the other park. Or if you enter one park first, you can go right ahead and use MaxPass to book a FASTPASS in the other park. One use for this is to end a park early—with Extra Magic Hour or Magic Morning—and grab a FASTPASS in the other park. Reserved space for the nighttime shows Fantasmic! (at Disneyland) and World of Color (at Disney California Adventure) is dispensed via in-park kiosks and via MaxPass. For whatever reason, Disney has chosen to group this with FASTPASS, even though it has nothing to do with the regular FASTPASS system. To book reserved space for one of these shows, use MaxPass or go to the kiosk (Fantasmic! is dispensed next to Mark Twain Riverboat, World of Color is dispensed next to The Little Mermaid ~ Ariel’s Undersea Adventure on the Grizzly Peak side), scan your park ticket, and obtain a receipt with your return time / location. Obtaining these tickets (or MaxPass reservations) will not impact your ability to get another FASTPASS, and you do not have to wait until you can book a FASTPASS to grab one of these tickets. They do go quickly, so try to swing by the kiosks early in your day. Now, let’s talk about MaxPass. What Is MaxPass At Disneyland? MaxPass is a paid enhancement to the FASTPASS system. It costs $15 per ticket per day. MaxPass enhances your FASTPASS experience in the following two ways. First, it allows you to make FASTPASS reservations using the Disneyland app on your phone (we’ll show you how below). Your FASTPASS time slot is (generally) the same as everyone else grabbing a FASTPASS at that time, but you don’t have to go to the kiosk. Second, the maximum amount of time you’ll have to wait between booking a FASTPASS is 90 minutes instead of two hours. This means you’ll usually be able to book more FASTPASS times in a day than someone without MaxPass. The third perk of MaxPass is unrelated to FASTPASS but worth mentioning. Guests with MaxPass have access to all their Photopass photos for the day, as well. How Can I Buy MaxPass? There are two options for purchasing MaxPass on standard park tickets. First, you can pre-purchase it as part of your ticket purchase. Best I can tell, this is only possible when purchasing directly from Disney, which means you’re spending $15 per ticket extra on top of losing the discount you can get purchasing through a discount Disneyland ticket broker. When you pre-purchase through Disney, you have to get MaxPass for the entire length of your ticket. Second, you can purchase it once you’re scanned into the park just for the day. This is the only way you can purchase it day-by-day or add it to a ticket purchased from someone other than Disney. You’ll just do this through the Disneyland app as soon as you are scanned into the park. Does Everyone In My Party Need MaxPass? This is always a confusing question. The answer you’re looking for is probably yes, in order to use MaxPass, everyone in your party needs MaxPass. If you’re using MaxPass, any ticket you’re booking FASTPASS for must also have MaxPass. But if someone in your party is skipping all the FASTPASS attractions, or if they’re just riding one or two and are willing to use the standard FASTPASS system to try and ride with you, they don’t need MaxPass. MaxPass is linked to individual tickets. 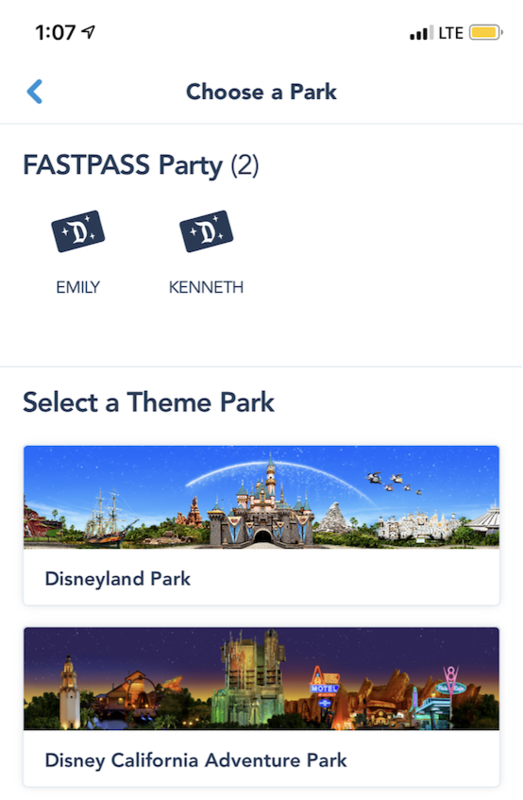 If someone in your party doesn’t have MaxPass, you’ll get an error when you try and book a FASTPASS for them through the app. 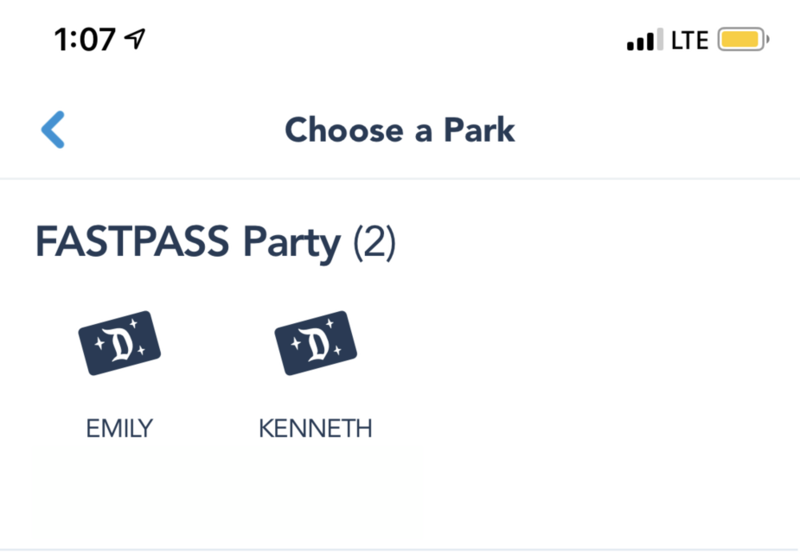 You can purchase MaxPass for everyone in your party, but you cannot purchase MaxPass for people who have not entered a park yet or whose tickets you have not linked to your account. Once you have a ticket with MaxPass and have entered the park, using MaxPass to book a FASTPASS is easy. Open the app and click “Get FASTPASS with Disney MaxPass.” If your home screen is different, you can also find this option by clicking the “+” at the bottom. If you haven’t purchased MaxPass, you’ll first have to do that. Then, select the members of your party you wish to book a FASTPASS for. All must have MaxPass, and all must be in the park. Select the park you’re booking in. This doesn’t lock you into anything, it’s just how they (sensibly) organize the rides. Scroll through and look at all your options. Note anything strange. Were you expecting to book Soarin’ later in the day, but now it’s already booking for the evening? Don’t just hop to your Plan A—check for Plan B and C. Once you’ve decided, tap through to the next screen. One last screen—you have to confirm your selection. If you waited too long to make your decision, they’ll modify the time and give you a message that says the time you chose is no longer available. Usually these modifications are only 5 minutes, but always check the time on the confirmation screen! Your confirmation will tell you when you can next get a FASTPASS. Once you have been scanned into either park (Disneyland or Disney California Adventure) you can make FASTPASS bookings for the rest of the day for both parks via MaxPass. If you have a breakfast reservation outside the parks or are starting your day at the hotel pool or whatever, always consider whether it might be worth it just to scan into the park and leave so you can get FASTPASS reservations via MaxPass. Guests at Disney’s Grand Californian Hotel & Spa can easily just scan into Disney California Adventure in the morning. If you scan into Magic Morning or Extra Magic Hour at a park, you’ll usually be able to use MaxPass to make FASTPASS reservations for all FASTPASS rides at both parks, even those that aren’t running yet. If you cancel a FASTPASS on MaxPass, you’ll be able to make a new one (unless you’ve already made a new one that reset the clock on when you can get a new one). Despite what Disney says, the FASTPASS windows seen on MaxPass are not always identical to those seen at the kiosks. I believe this is just due to cancellations, but you will sometimes see a surprise earlier FASTPASS time appear on MaxPass. We’ll tell you straight up whether we think you should get MaxPass based on how long your visit is. If you have only one day in each park, MaxPass is worth it. If you have 1.5 days in each park (i.e. three days total), get MaxPass the first day and make the decision for yourself regarding the half-day (which hopefully is also a half-day in the other park). If you have two or more days at each park, skip MaxPass on day one and see how it goes. Almost all of our Disneyland Resort content assumes you have MaxPass for one day in each park. We’ll usually add short commentary for guests without MaxPass explaining what modifications to our tips they might have to make. Star Wars: Galaxy’s Edge will open at Disneyland Park on May 31 with one operational ride. From May 31 to June 23, guests will need a reserved slot to access the land. The second ride will open later in 2019. Galaxy’s Edge is currently not scheduled to be a part of Extra Magic Hour or FASTPASS. Until this disclaimer is removed, nothing in this post pertains at all to visiting Galaxy’s Edge. We expect to update the post around June 23, when guests will be able to access the land without prior reservation. Until this post is updated, the biggest thing you need to remember is that you do not want your FASTPASS bookings to conflict with your time in Star Wars: Galaxy’s Edge, whether it is before June 24 and you have a reserved slot or after June 23 and you are hoping to be able to visit the land and its ride(s). What Disneyland Rides have FASTPASS? 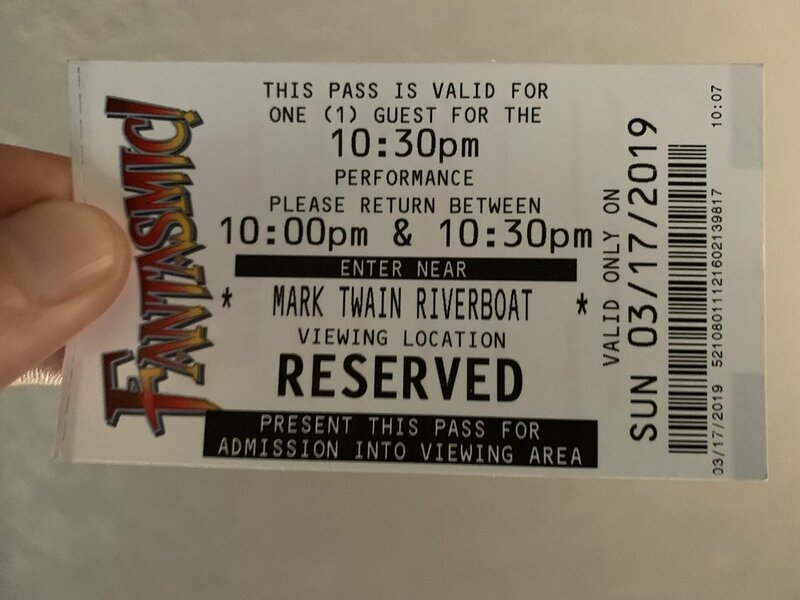 The nighttime show, Fantasmic!, also uses FASTPASS for access to reserved seating, but (as discussed above) this will not impact your ability to obtain or use other FASTPASS reservations. Where are the FASTPASS kiosks at Disneyland park? First thing’s first—if you’re a Walt Disney World regular, you need to know that the FASTPASS kiosks at Disneyland and Disney California Adventure dispense FASTPASS receipts for specific rides, you don’t just walk up to them and book any ride. Guests with MaxPass don’t need to worry about kiosk locations since they can book on their phones. Below are all the kiosk locations. With each is a photo (or gallery of photos you can slide through) that should clarify where the kiosks are. In this section we cover the rides that have FASTPASS at Disney California Adventure and their kiosk locations. Strategy is covered further below. We also have a guide to the rides of Disney California Adventure as well as a one-day itinerary for Disney California Adventure. What Disney California Adventure ride have FASTPASS? The nighttime show, World of Color, also uses FASTPASS for access to reserved seating, but (as discussed above) this will not impact your ability to obtain or use other FASTPASS reservations. Where are the FASTPASS kiosks at Disney California Adventure? Look—we could just write a list that ranks all of the FASTPASS options at Disneyland and Disney California Adventure, but that’s not how we do things here. 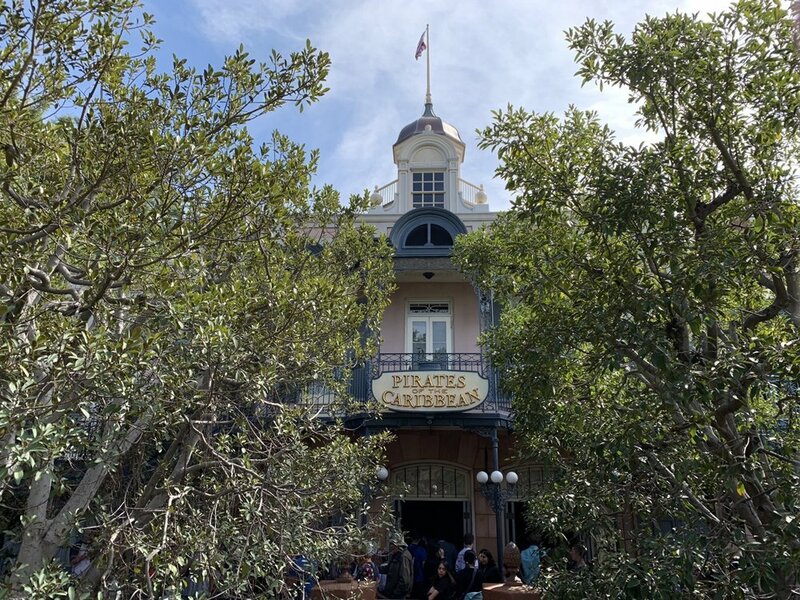 We spend lots of hours in the parks trying different approaches to FASTPASS, and we want to share as much knowledge as succinctly as possible with you. But we will at least start with lists that group the rides by priority. The most important thing to remember about the following lists is that they are rough estimates and that you can actually monitor things very easily as you book your FASTPASS reservations. Even if you don’t have MaxPass, the Disneyland app tells you the time that FASTPASS tickets are currently being distributed for. Keep an eye on these times, and if you start to see a ride going—maybe Incredicoaster is more popular today than Grizzly River Run—plan accordingly. I want to talk about a few rides specifically. Indiana Jones Adventure, while being a very popular, awesome ride, has one of the worst FASTPASS queues and can have a 15 minute or more wait after you merge with the regular line. For this reason, I never use my first FASTPASS for it and would only use my second on the busiest of days. I’d rather put it in the middle of the day when I have time to kill. Splash Mountain varies greatly by weather. Basically, everyone wants to be on this ride in the middle of the day, so FASTPASS times may change quickly once they get around the noon to 3PM range. On cool enough days, Splash will issue FASTPASS times for 5 minutes in the future the entire day. Roger Rabbit’s Car Toon Spin usually has limited hours, opening later than the rest of the park and closing earlier. For this reason, you need to keep a close eye on its FASTPASS times even though it isn’t a high priority. Haunted Mansion becomes high priority during the Haunted Mansion Holiday overlay. Following our one-day Disneyland itinerary, It actually fills the third slot quite nicely. Finally, just grab a FASTPASS for Fantasmic! via MaxPass right after making your first regular booking. If you don’t have MaxPass, be sure to pass by the kiosk in the first two hours of your day. I’m a bit surprised to see Incredicoaster availability so open, but its height requirement and dying down hype are clearly possibilities why this might be happening. Toy Story Midway Mania! tends to hover between Guardians and Radiator Springs Racers. 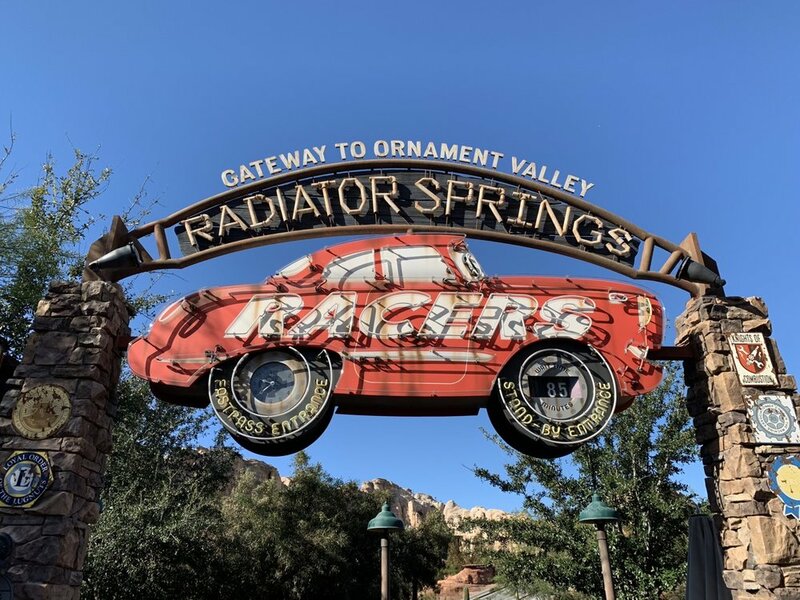 We could put it as “high priority,” but we really want to highlight that Radiator Springs Racers is in a league of its own. Our least favorite FASTPASS is Soarin’, because long load times can result in lengthy waits even for FASTPASS riders. That said, we also don’t recommend the ride at rope drop, so your best option is going to be just dealing with a midday FASTPASS. The really nice thing about FASTPASS and MaxPass at Disneyland is you’re working within a really limited set of possibilities. 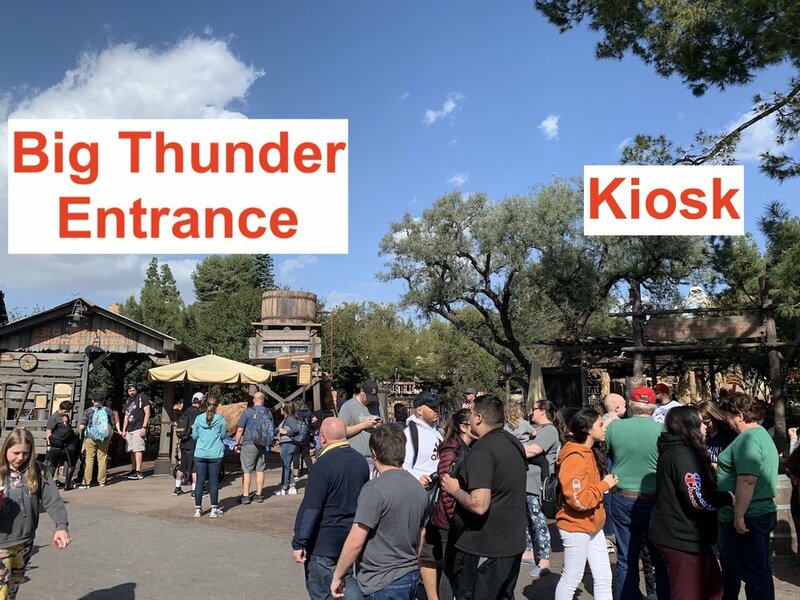 Yes—FASTPASS and MaxPass do require you to make some decisions and to consider some risks, but it’s hard to over-engineer a FASTPASS strategy. 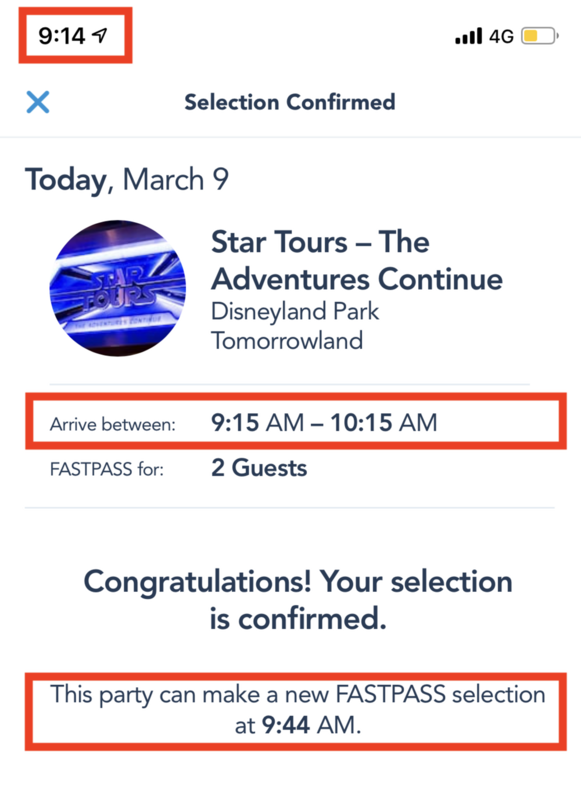 Generally, you’ll want to book your FASTPASS reservations in an order that corresponds to the above priorities, but you need to remain flexible. There are three big times we deviate from the above priority list. The first is if we have to get something before it runs out. If a popular ride is already issuing FASTPASS for the end of the day, you might need to grab it now. You don’t want to completely miss out on a ride or have to wait in a two hour wait. The second is when we can safely grab a FASTPASS for right now. If it’s 9:53AM and there’s a FASTPASS available for 9:55AM for a ride right in front of you with a 40-minute wait, you can grab it and then grab another FASTPASS at 10:23AM. Little is going to change in those thirty minutes (as long as it’s still early in the day), so it might make sense to just grab a FASTPASS now to bypass a 40-minute wait. The third time we’ll break from the plan is if there’s a large gap between the next FASTPASS times. For example, let’s say it’s 11:03AM and we can grab Toy Story Midway Mania! for 4PM or Incredicoaster for 11:05AM. Even though Toy Story Midway Mania! is higher priority, we’d rather just grab Incredicoaster now and then reconsider Toy Story Midway Mania! at 11:33AM when we’ll next be able to grab a FASTPASS. This approach is helpful in putting together our evenings, particularly when we want to repeat a ride. Beginning in the middle of the day, you’ll start to see huge gaps in FASTPASS times, with some rides starting to issue their last FASTPASS slots for the day. 3:20PM — Grab 9:00PM Toy Story Midway Mania! That allowed us to finish our day with a fantastic lineup—Guardians, then dinner, then Radiator Springs, then Incredicoaster, then Toy Story Midway. Two things to note. First, there is obviously luck involved in those selections. 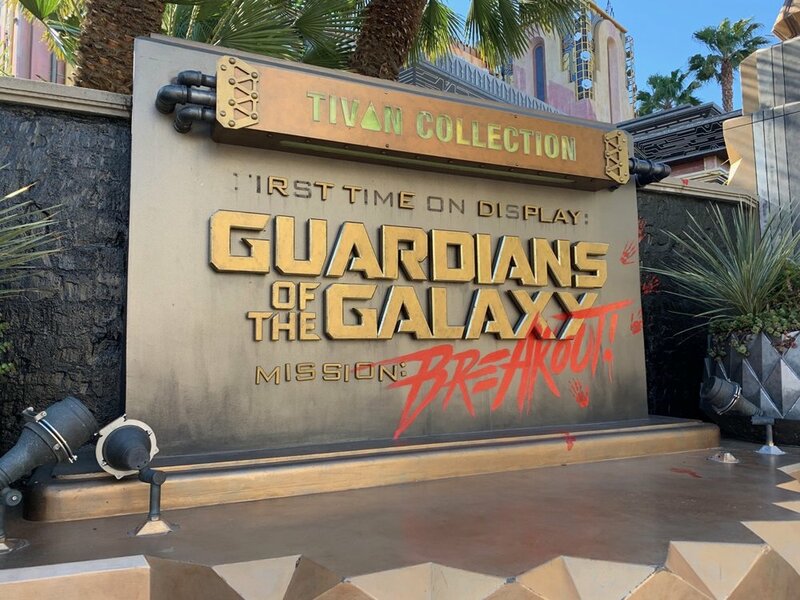 We knew when we grabbed Guardians that we might miss out on Toy Story Midway Mania! Second, we could have done these in a different order and spaced them out more, but we didn’t want to do that. We like opening up the afternoon for whatever else we’d like and not having to worry about running all over. Finally, just grab a FASTPASS for World of Color via MaxPass right after making your first regular booking. If you don’t have MaxPass, be sure to pass by the kiosk in the first two hours of your day. Don’t forget about rope drop. Rope drop—the very beginning of the theme park day—is an important time to get on rides that get long waits, particularly those without FASTPASS. FASTPASS and rope drop work together to help you put together an awesome day. You can read more about rope drop at Disneyland and rope drop at Disney California Adventure. Try to get overlapping slots on rides that are nearby. Let’s say it’s 10AM and you see an 11AM Space Mountain and a 10:05AM Star Tours. 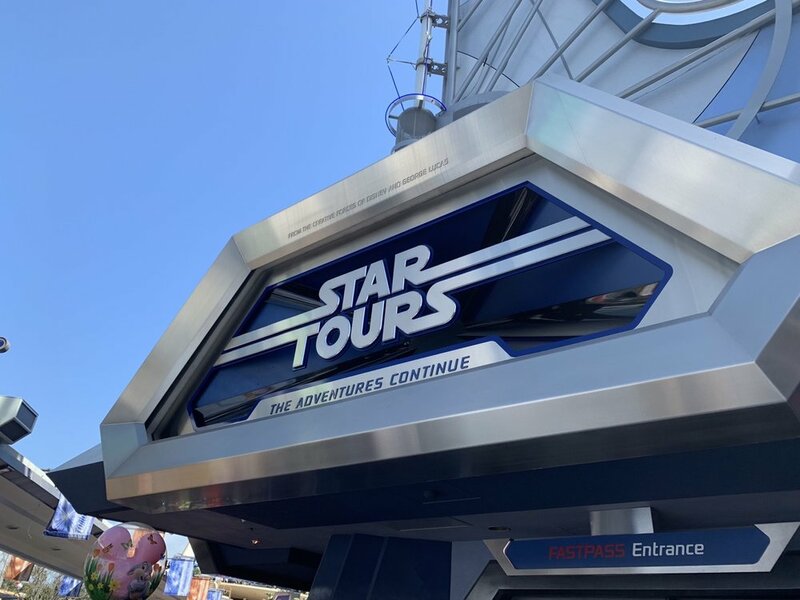 Grab the Space Mountain, because chances are when 11AM rolls around, you’ll be able to grab something like an 11:30AM Star Tours. If you don’t have MaxPass, plan to be near important kiosks. Don’t plan to get off Space Mountain right before you have to go to the Indiana Jones Adventure kiosk. Try not to get stuck on a long ride (or queue) when it’s time to grab a FASTPASS. Especially later in the day as FASTPASS times are running out, you don’t want to miss out because you’re on a ride or in a queue where you have no cell reception. Today can always be different. Especially in a park like Disney California Adventure with so few rides, weird things can happen. If a ride is down for a large chunk of the day, or if its waits are long because it isn’t operating at full capacity, it will run out of FASTPASS availability quicker. On a really hot day, the water rides will go really quickly. And so on. Always look at every FASTPASS time before grabbing one. Related to the above point, always scan the FASTPASS times when you’re in the app to get a sense of how things are going today. You might notice something strange that you have to adjust for.